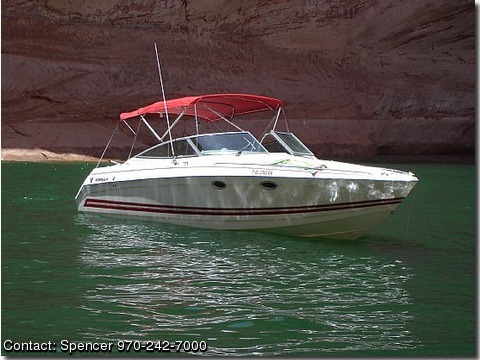 2001 330SS EXPRESS CRUISER, PRICE LOWERED TO ROCK BOTTOM!!! TWIN 7.4 LITRE, BRAVO 3 OUTDRIVES. FULL BIMINI WITH CAMPER ENCLOSURE AND EISENGLASS. GARMIN CHART PLOTTER GPS, HEAD WITH MACERATOR/SHOWER. COCKPIT COVER AND FULL STORAGE COVER. IMRON GARNET, GORGEOUS BOAT IN OUTSTANDING CONDITION.